Best Buy wants to give you $50, but you're going to have to do something for Best Buy – just buy a phone. If you were planning to do that anyway, then it's a win-win. It's essentially the same deal Best Buy has been offering for the last few years. 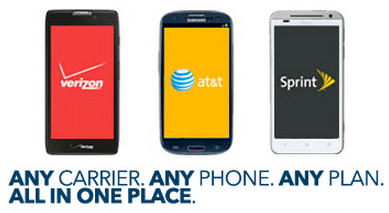 Just sign up for the promo, and then at any time in 2014 you can use the $50 credit toward a phone of your choice. The window to sign up is pretty generous this year – it runs from February 2nd through the 15th. The voucher is good for any phone, sure, but it has to be purchased on a two-year contract during 2014 (expires December 31st). That means T-Mobile isn't part of the deal anymore since the carrier is out of the subsidy game. It's just Sprint, AT&T, and Verizon now. Although, Best Buy is still pushing the "any carrier" line. One more catch to be aware of, this offer is only good on upgrades and ported numbers. New lines cannot use the $50 credit. The free money just goes away if you don't use it by 2015, so there's no real risk.